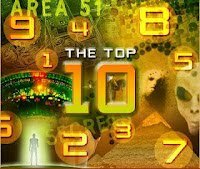 Webcam Captures Beam From Alien Spaceship? 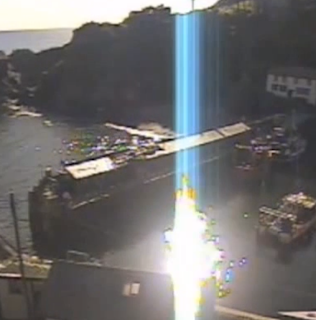 This is the moment a newsagent in Cornwall believed he had caught on camera beams of light from an alien UFO. In a scene eerily reminiscent from Close Encounters of the Third Kind, you could be forgiven for thinking this view of picturesque Polperro harbour showed something other worldly in action but in fact it's just a trick of the light. 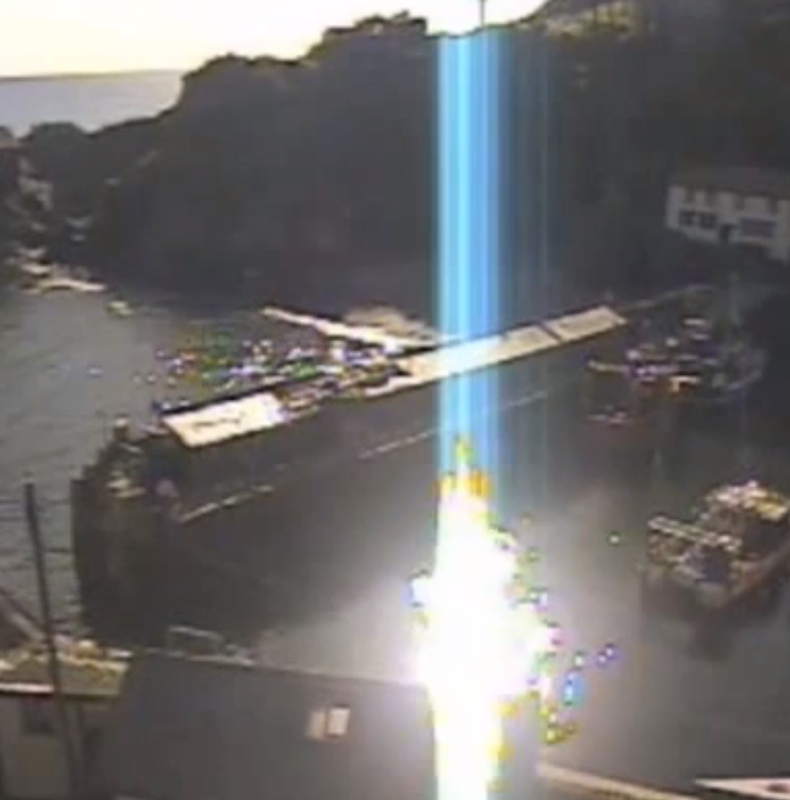 William Fathers of newsagent Polperro News - who captured the moment on his shop's webcam - said it did look spooky after claiming "#Aliens are beaming down to #Polperro harbour" on his Twitter feed. "It happens at this time of year when the sun gets low in the sky. "The light bounces off the sea and hits the camera. "It's just one of those things but it does look weird."